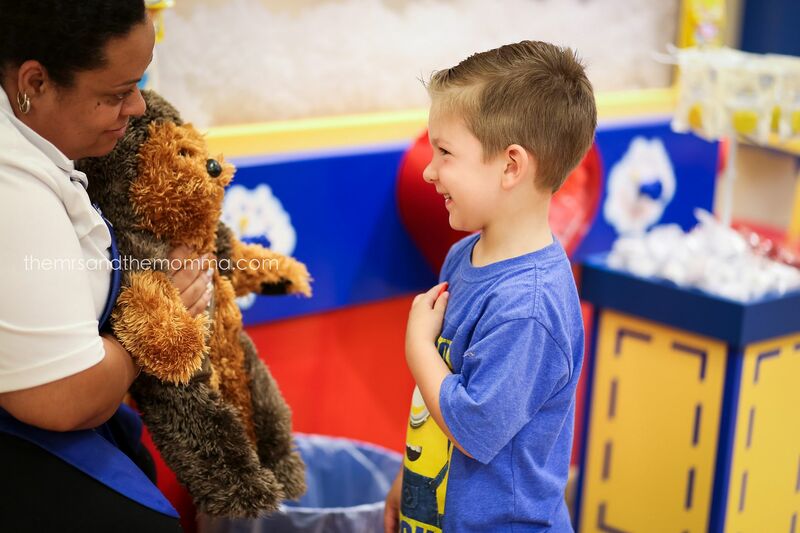 Ever since Bennett's pre-school took a field trip to Build-A-Bear, that's all he's talked about wanting for his birthday. So last weekend, we finally made the trip up to the mall in Austin to get his his gift. I was certain he'd pick out a Star Wars character, but his short-list included Minions and dogs...go figure. If you follow me on Snapchat (@kristennjansen), I shared how I almost walked out of the store during the loooooooong deciding process (eye-roll). Thankfully (and predictably) though, he settled on Chewbacca as his new furry bestie. We were the only ones in the store, so he got undivided attention from the sweet lady working there. 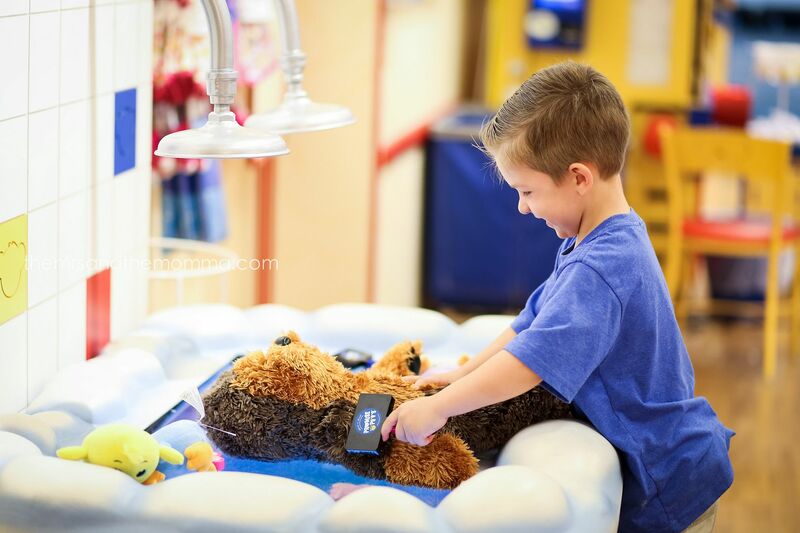 Having never gone through this before, I was touched at how precious the process is...from kissing the heart, to deciding what "huggable level" to be, to brushing and washing his new friend. We loved it and he thought it was just the coolest! Our oldest is now saving up her money to go back and get herself a special Build-A-Bear friend. 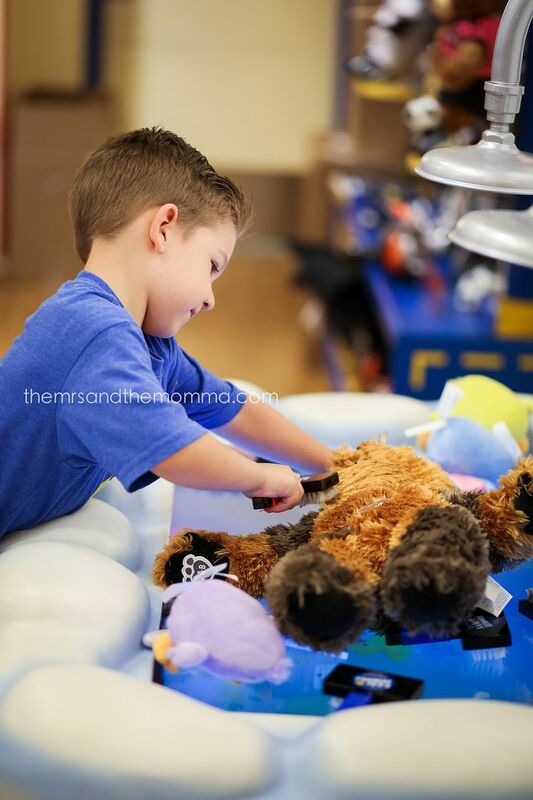 I guess I had in my mind it was something stressful, busy, and only bear-centric...but in reality, it was a wonderfully uplifting experience that "bonds" kids with their special stuffed animals. Definitely two thumbs up! Awww! I am so glad it was a positive experience for him! SO cute.